Sascha always gives plenty of option when it comes to her creations. The Diana is no exception. Diana Set One has two adorable ponchos to choose from. The longer poncho, as worn below, has a dainty floral embellishment and can be worn on those chillier days. Or you can go with the other options! The pants come in two styles, so one has a hand drawn belt while the other is without. The open back on the top gives a nice rear view too! A shorter poncho is also included. Too cute! Need a lift so you can see it for yourself? 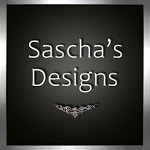 Click here for ride to Sascha’s Designs.